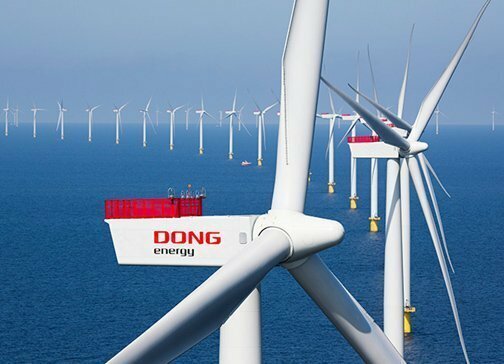 As part of its transition from oil and gas company to offshore wind energy specialist, Denmark’s Dong Energy is changing its name to Ørsted. Dong Energy has called an extraordinary general meeting on October 30 to ask the shareholders to approve the name change. Thomas Thune Andersen, chairman of the board of directors, commented: “Dong was originally short for Danish Oil and Natural Gas. With our profound strategic transformation and the divestment of our upstream oil and gas business, this is no longer who we are. Therefore, now is the right time to change our name. Dong Energy has been transforming itself from an oil and coal based energy company to a renewable energy specialist. In May, it sold upsteam business Dong E&P to the UK’s Ineos for $1.05bn. The new name Ørsted references Danish scientist Hans Christian Ørsted who spearheaded several scientific discoveries including the discovery of electromagnetism in 1820.